Mahindra is known for providing factory based custom kits on its cars. 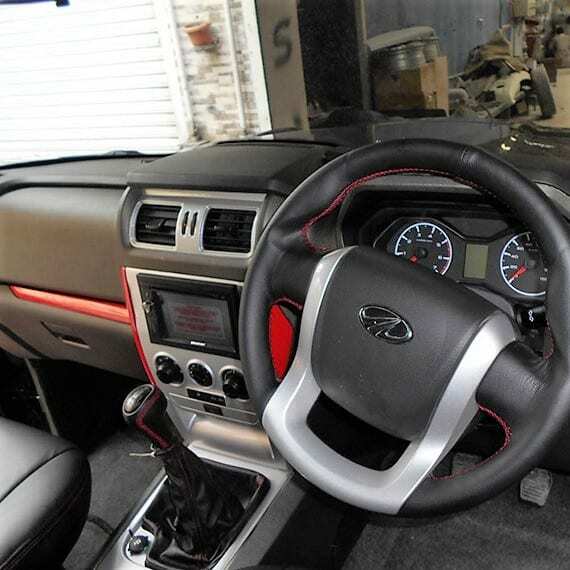 Mahindra Scorpio Mountaineer is recently added kit for the Mahindra Scorpio SUV. Mountaineer can be done on 4*2 or 4*4 variant. 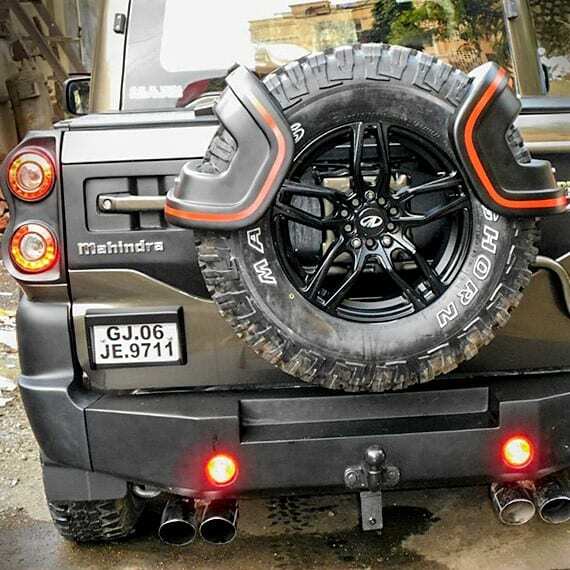 In this kit Mahindra is offering enhanced version of suspension as the high performance shocks on multi link suspension offers everywhere go experience. 17 inches alloy wheels on Maxxis Bighorn tires for better grip and alloy wheels are done in gloss black shade. Now car got the seating for two passengers only. The front fender got the integrated indicators. Stock headlight replaced with 3 piece unit and bumper gets the fog lights inserts. There is a tire holder on the back. It comes with two engine options.